Which Insurer should pay my Motor Vehicle Accident Claim if there is more than one Insurer? If are injured in a motor vehicle accident and you are potentially covered for statutory accident benefits under more than one policy, pursuant to the Insurance Act regulation 283/95, the first insurer to receive your completed application for accident benefits is obligated to pay your coverage, as long as there is some connection (nexus) between the insurer and the claimant. 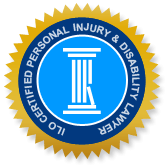 The objective of this rule is to prevent injured accident victims from been disadvantaged by having to wait for needed financial settlement while insurers dispute which of them is obligated to cover your losses. Independent of you having received a payment, the insurer who paid the benefits can commence a priority dispute with the other insurer(s) believed to be responsible for indemnifying your losses, and the first insurer may be reimbursed if found not to be the ‘priority insurer’. However, if you find yourself in situation where insurers refuse your application on the basis that they are not the insurer who is obligated to pay your benefits, you should contact an experienced insurance claims lawyer in your community, who can provide skilled representation against the insurance companies so that you get the benefits you are owed as quickly and efficiently as possible. One such insurance dispute arose between Zurich Insurance Company, Chubb Insurance Company of Canada, and an accident victim, and the insurers eventually resolved their priority dispute in arbitration. The dispute arose after a woman was injured in a single-car collision involving a car she had rented from Wheels4Rent. The car rental agency had offered an optional accident policy for accidental loss of life and injury, which was insured by Chubb, but the woman had declined the optional policy. After the accident, the claimant applied for benefits from Chubb but they declined on the basis that the optional policy is a commercial policy, not a motor vehicle policy, and also because the claimant had declined this coverage and therefore Chubb was not the insurer under the Insurance Act. The claimant eventually obtained accident benefits from Zurich, as Wheels4Rent was insured under a policy issued by this insurer. Zurich took the position that, under Ontario’s statutory benefits schedule, Chubb was the first insurer and should have paid. The arbitrator in the dispute between Chubb and Zurich decided that Chubb is not an insurer under the Act and therefore, Zurich is responsible for paying the claimant’s benefits. The arbitrator’s decision was based on a finding Chubb that there was no ‘nexus’ (i.e. connection) between the claimant and Chubb and therefore, Chubb is not the insurer under Ontario’s vehicle insurance regime. In Zurich Insurance v. Chubb Insurance, Zurich appealed the arbitrator’s findings. In the appeal, the judge did not agree with Chubb’s argument that, because the ‘optional policy’ did not specifically insure a motor vehicle, it could not be considered an insurer under the Act. The judge declared that by calling the policy ‘commercial’ rather than a vehicle insurance policy doesn’t necessarily make it true. The judge referred to Reid Crowther & Partners Ltd v. Simcoe & Erie General Insurance Co. (1993), where the court found that ‘motor vehicle liability policy’ means any policy with a contract insuring: a) the owner/driver of an automobile, or b) a person who is not the owner/driver, where the vehicle is being used by the person’s employee/agent or by any other person on their behalf – against liability arising out of personal injury, death, loss or damage to property caused by the operation of an automobile. On this basis, the judge concluded that he had “little difficulty finding that the optional policy was a ‘motor vehicle lability policy’ as defined by the Act”. The judge also asserted that “insurers should be encouraged to pay benefits immediately to victims and then determine, through dispute settlement mechanism, which of them bears the ultimate cost”. The judge concluded that the arbitrator erred in applying a remoteness test rather than an arbitrariness test, in deciding whether Chubb was obligated to pay -- the connection between the claimant and Chubb may have been somewhat remote, but it was not arbitrary. Therefore, the judge ruled that Chubb was the first insurer and on this basis, he set aside the arbitrator’s decision.